Health care costs are always a hot button topic amongst consumers, but a new study shows that there could be bad news on the horizon for the many people who struggle with cardiovascular disease. Researchers working with RTI International and the American Heart Association (AHA) have found that, if left unchecked, the number of Americans with cardiovascular disease will rise to 131.2 million – or 45% of the U.S. population -- by 2035. If that happens, they say that the costs associated with the disease will reach $1.1 trillion. “Mostly driven by the aging of the population, the prevalence and costs of cardiovascular disease are expected to increase significantly in the next 20 years with total costs reaching over $1.1 trillion by 2035,” said lead author Olga Khavjou. Cardiovascular disease is currently the most costly and pervasive condition in the U.S., and it is growing at an astonishing rate. Back in 2011, AHA researchers estimated that approximately 100 million Americans would suffer from the disease by 2030. However, they were way off the mark – and not in a good way. The 100 million mark was hit in 2015 instead, nearly 15 years sooner than the researchers anticipated. That same year, the death rate attributed to heart disease rose by 1% for the first time since 1969. The latest 2035 projections estimate that 123.2 million Americans will suffer from high blood pressure by 2035. By the same time period, the researchers say that 24 million people will have coronary heart disease; 11.2 million people will suffer a stroke; and 7.2 million people will have atrial fibrillation. 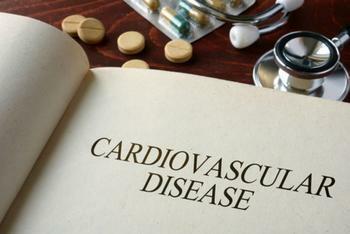 The findings also suggest that cardiovascular disease risk will rise to 50% by age 45 and 80% by age 65. Demographically, researchers say Black Americans will have the highest rates of cardiovascular disease in 2035, followed by Hispanics, and men will suffer from cardiovascular disease at a greater rate than women. All told, cardiovascular disease cost Americans $555 billion in 2016, but the study suggests that number will quickly multiply if the disease becomes more pervasive. The researchers say that the $1.1 trillion projected cost in 2035 will fall heavily on those over the age 65 – doubling current rates for those between 65 and 79 and tripling for those over the age of 80. Preservation and expansion of access to high-quality affordable health care. “While we have made tremendous progress in fighting cardiovascular disease, recently reported death rates and these projections reinforce that now is not the time to relax. We must continue to be vigilant, because if these projections become reality, a serious health and economic crisis is on the horizon,” said American Heart Association President Dr. Steven Houser. The full study has been published by the American Heart Association.